OGDEN, Utah – Weber State scored its most points of the year and defeated Southeast Missouri State 48-23 Saturday afternoon at Stewart Stadium in the second round of the FCS Playoffs. SEMO led 7-0 after the first quarter, but the Wildcats exploded for 27 points in the second quarter, including two touchdowns in the final minute of the half. QB Jake Constantine had four touchdowns in the half, including two passes to Isiah Jackson in the final minute of the half. He finished 18 of 30 passing for 199 yards and a career-high four touchdowns, including one rushing. Treshawn Garrett had a season-high 134 yards on 17 carries, and became the 10th Wildcat to record 2,000 career rushing yards. Freshman Josh Davis had 15 carries for 62 yards. SEMO came back with 17 straight points to cut the lead to 34-23 early in the fourth quarter, before the Wildcats came back with a touchdown by Doug Lloyd on a fake field goal and a 52-yard interception return for a touchdown by Jordan Preator. The Wildcat defense had four interceptions with Preator getting two, along with one by Keilan Benjamin and Landon Stice. SEMO quarterback Daniel Santacaterina had only thrown seven interceptions all season up until this game. Southeast Missouri entered the game leading the nation in turnover margin, but the Wildcats forced for turnovers and only turned the ball over once. Weber State had two successful special teams play result in first downs – the fake field goal and a fake punt attempt, where Doug Lloyd, the punter, threw a pass to Jared Schiess to convert a first down. 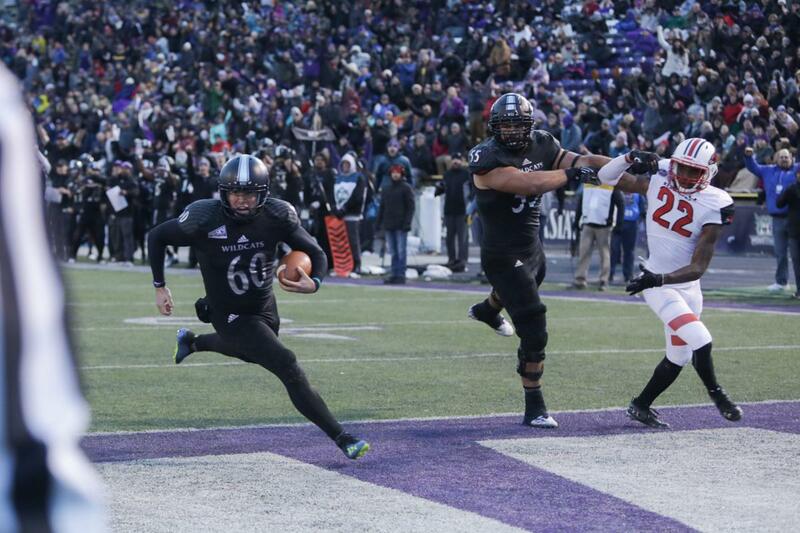 Weber State will host the Maine Black Bears in the quarterfinals of the playoffs next weekend at Stewart Stadium. The game will take place on Friday, December 7th and will be televised on ESPN2.